Carlo Gulotta, MD, was born in 1952 in Italy. He is specialist in Pneumology and Head of the Department of Cardio Respiratory Pathophysiology of San Luigi Hospital, Orbassano, Turin. He is President of the scientific association for the study of respiratory disease (AIMAR) of Piemonte and Valle d’Aosta, Italy. His clinical and research activities concern lung volume assessment, gas exchange, lung mechanics and mechanical ventilation in heart and lung diseases in chronic and acute patients. He actively cooperates with Politecnico of Turin and Milan to develop new original methods in lung function assessment. He is author of more than one hundred scientific papers in National and International Journals. Anthimos Georgiadis is Professor of measuring technologies and intelligent systems and director of the Institute of Product and Process Innovation (PPI) at Leuphana University of Lueneburg, Germany. His research in measuring technologies, sensors and intelligent systems is mainly funded by European projects. Further funding of the public and private sectors has resulted in over a dozen patents and technology transfers to the private sector, a number of innovation awards and over 60 publications. At the moment more than 10 PhD candidates follow the activities of the laboratory of measuring technologies and intelligent systems. A group of master students working on intelligent systems have won the German championship in the ROBOCUP, Logistics competition 2011 and became second in the world championship logistics competition in 2012 in Mexico. 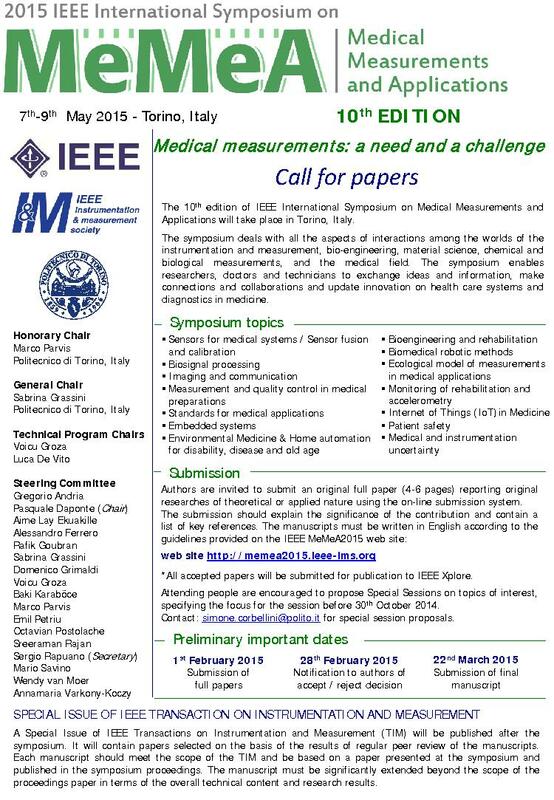 He is member of IEEE, Instrumentation and Measurement Society, member of the VDI and the DPG (German Physical Society) and independent evaluator of the European Commission, the Italian Research Ministry, the Greek and Cyprus ministry of research.